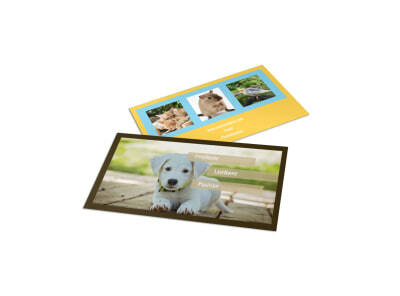 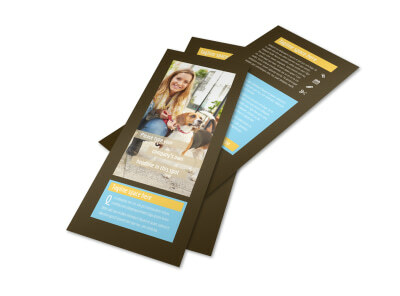 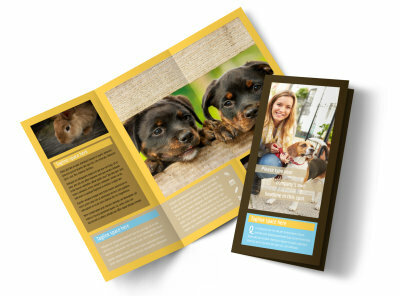 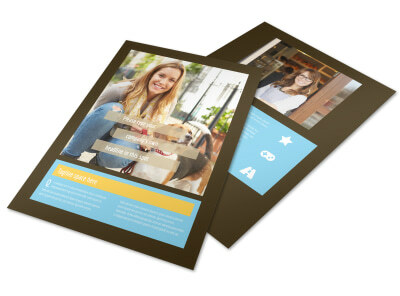 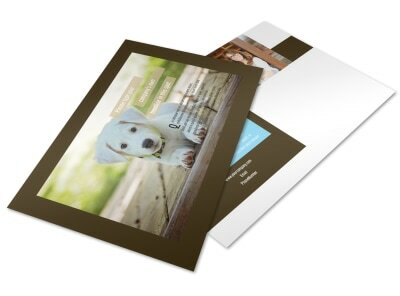 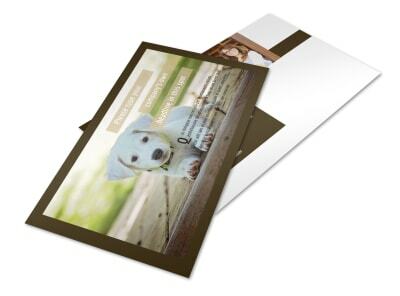 Customize our Pet Store Brochure Template and more! 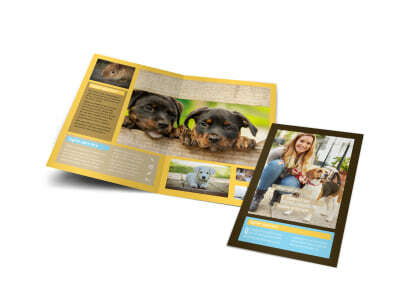 When pet parents need kibble, litter, or dog treats, let them know you're the go-to source with pet store brochures highlighting popular products and services. 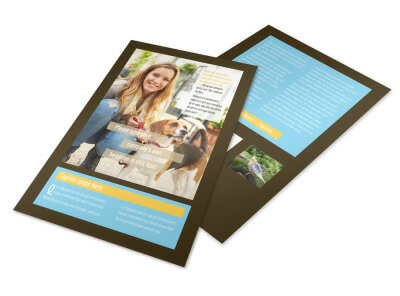 Customize any of our pet-themed templates using our online editor, adding photos, graphics, artwork, and more, to pique interest and position you as an authority. 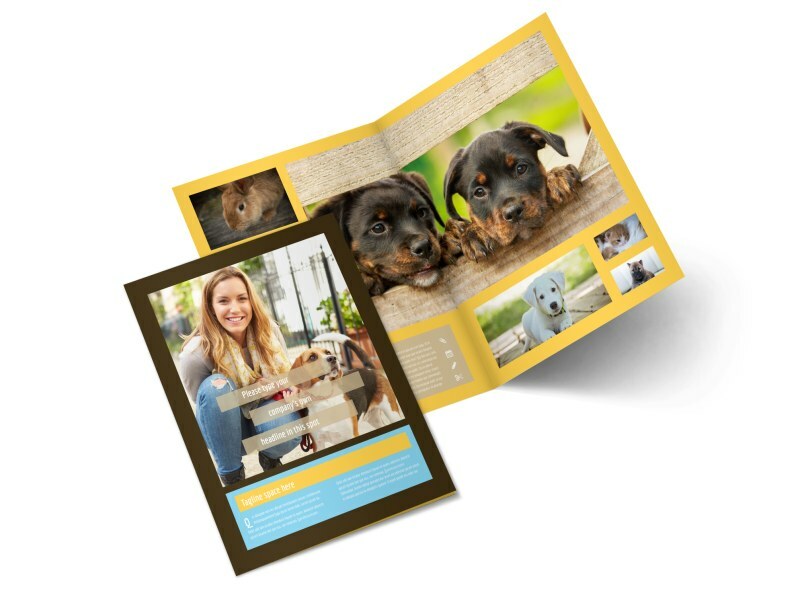 Print your brochures in bifold or trifold format, or let our print gurus tackle the task for you.